Tampa International Airport is working with Feeding Tampa Bay to set up a food bank for TSA and U.S. Customs employees. 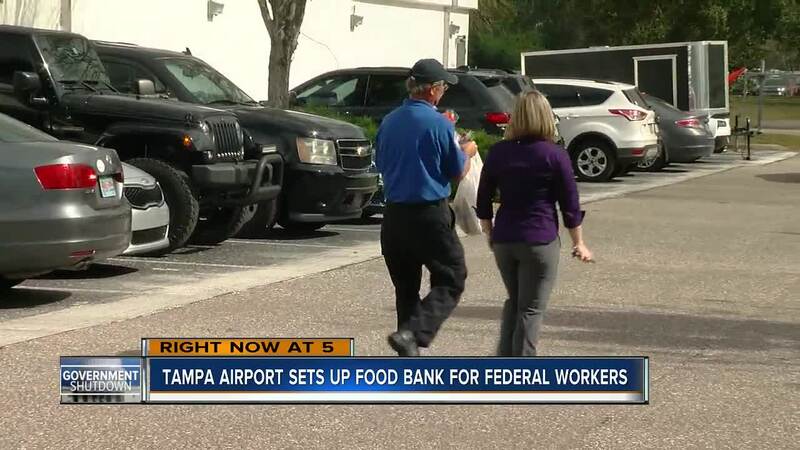 TAMPA, Fla. — Tampa International Airport is working with Feeding Tampa Bay and other groups to set up a food bank for TSA and U.S. Customs employees. "It's a guessing game on how much we'll need. We're be able to start to understand how many employees are using it each day so that we can make sure we're able to restock,” said Jayci Peters with Feeding Tampa Bay. The Department of Homeland Security is among the agencies affected by the partial government shutdown. Transportation Security Administration and U.S. Customs and Border Protection employees are required to work because they are deemed "essential" for safety reasons. During the government shutdown TSA and Customs workers are not receiving paychecks until the shutdown is over. They missed their first paycheck on January 11. The current government shutdown is the longest in U.S. history. It began at midnight on Saturday, December 22. The food bank will be set up at the Tampa International Airport police training facility located at 5020 West Shore Boulvard. TSA employees can receive food with valid identification. The food bank will be open Monday to Saturday from Noon to 2 p.m. and from 8 to 10 p.m. The Crisis Center and the United Way are both here too offering assistance. Many employees may soon have bills they can't pay. 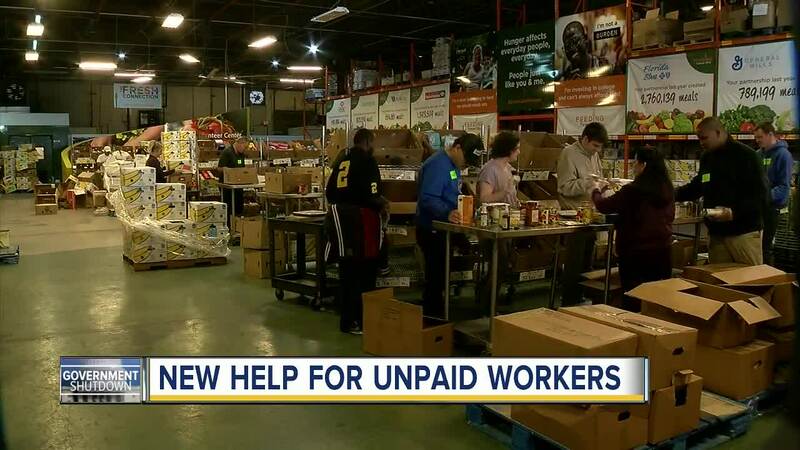 "We got a call from the airport team to say staff was going to have a hard time this week and what could we do,” said United Way’s Deanna Willsey. Today is the first day the assistance center is open. 60 people walked in for help in the first hour. The assitance center will be open every day except Sunday from noon to 2 p.m. and 8 p.m. to 10 p.m.